Protect your employees, your switchgear and your investment. The inoRAC Upgrade Package will bring older remote racking devices up to date with the latest in hardware, accessories and programming. inoLECT is pleased to offer existing Remote Racking customers a special Upgrade Package that will add the newest technology to older devices. If you've implemented Remote Racking in your safe work practices, you already understand the importance of protecting your employees. 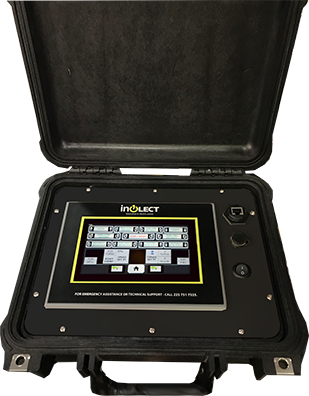 If you've purchased the inoRAC product, then equipment protection was also a significant factor in your purchase. We want to extend an offer that will protect your investment as well. The inoRAC Upgrade Package brings older units up to par with the latest product release for a fraction of the cost of a new unit. While we are still able to support older devices, finding replacement parts may become difficult in the future. Why not install new hardware and software with all of the bells and whistles available on the newer models? Easier program adjustments - No Guru required!